May 30, 2018 – Norristown, PA – LCR Embedded Systems is honored to announce that it has once again been recognized for its quality, performance, and focus on total customer satisfaction by Raytheon Integrated Defense Systems (IDS) at their 2018 Supplier Excellence Conference held on May 17, 2018 in Boston, MA. Raytheon’s Integrated Defense Systems business instituted the annual Supplier Excellence Awards program to recognize suppliers who have provided outstanding service and partnership in exceeding customer requirements. Award candidates are judged on certain criteria, including overall quality and on-time delivery. LCR Embedded Systems is one of 66 companies recognized by Raytheon’s Integrated Defense Systems business for 3-Star honors. LCR Embedded Systems’ commitment to quality and strong relationship with Raytheon IDS has resulted in multiple previous four- and five-star supplier awards as well as the Mission Assurance Award for 2016. 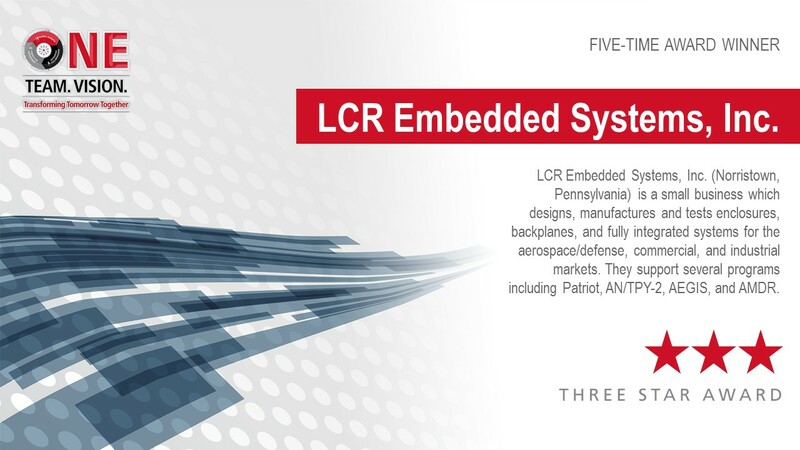 LCR Embedded Systems’ role in supporting Raytheon on the Patriot, AN/TPY-2, Aegis, and AMDR programs dates back over many years, and the company became a Raytheon Preferred Supplier in 2013. 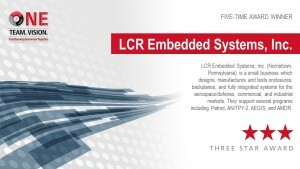 LCR Embedded Systems’ backplanes, chassis, and supported legacy equipment can be found on ground mobile, shipboard, and airborne installations all over the world.